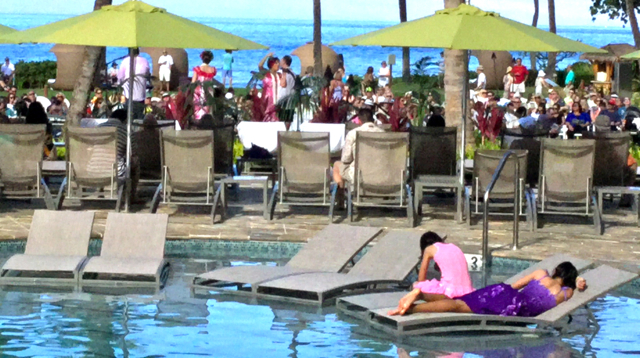 Everybody into the pool on Easter on Maui. April 5, Ka’anapali, some 500 people came. They heard music, watched hula and were preached to on Easter Sunday. Only two however attended in the pool. The rest got sunburn on the sun-filled lawn. If you were fooled, so be it. The blog missed April fools day so this will make up for it. Next What something special did 500 people on Maui who attended Easter Service get?